A Man for All Seasons is a dark, thick piece of theater that requires your full attention. The elderly patron seated to my left fell asleep, and I completely understand that. It helps to have a fetish for British historical dramas, which I do in spades, but I’m not entirely convinced that everyone would enjoy it as much as I did. I thought it was fantastic. It’s hard to believe that executions, betrayal, false imprisonment and a potential war could result simply from the want of a divorce, but it all really happened. Get this: In 1527 Henry VIII wanted to divorce Catherine of Aragon to marry his mistress Anne Boleyn. The only thing standing in his way was the Catholic Church. The Church wouldn’t sanction the divorce, so he got rid of it! A righteous dude! In 1532, he severed ties with Rome and passed the Act of Supremacy, which installed himself as the Supreme Head of the Church of England. What nerve! He finally married Anne Boleyn. Catherine of Aragon’s nephew, Charles V, King of Spain, didn’t like seeing his aunt removed as Queen and tried to instigate a war. More, the influential Lord Chancellor of England, refused to sign the Act or endorse the divorce on moral grounds. Well, you can guess where that got him. A year in a dungeon and a beheading. All that occurred simply because the King wanted a divorce! Isn’t that nuts? What do you think has caused more trouble and misery throughout history, religious doctrine or what a man keeps in his pants? I’d say it’s a toss-up. I feel a bit sorry for Henry. Divorce among royals for succession reasons wasn’t unheard of in that era, but you had to be on the pope’s good side (which ironically Henry was when he first made inquiries). Katherine though had connections – her nephew – and it was Charles who pressured the pope into denying what should have been a routine divorce.Still Henry’s reaction was over the top and it’s ironic that his best heir turned out to be a girl child, don’t you think? annie: Henry’s primary motivation for wanting a divorce was not lust (although that was an aspect of it) but the fact that Catherine could not bear him a male heir to the throne. You’ve made an astute observation regarding Elizabeth I. No lie, I actually worked on a production of Man For All Seasons up in the Northwest. It was a tough sell, heavy political drama with few actual laughs. 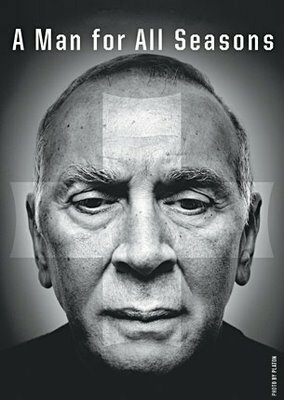 I bet Langella’s good…you’ve seen the 1965 film with Paul Scofield, I trust? Worth checking out, plus a very young John Hurt as the turncoat who betrays More. Erm, well if a man did actually keep it in his pants there would be less trouble. Look at Clinton and Monica. Nearly got him impeached.